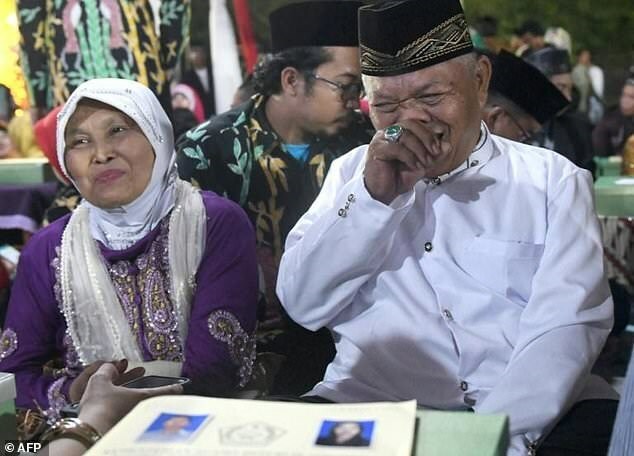 Jakarta (VNA) - Hundreds of Indonesian couples celebrated getting married in Jakarta on New Year's Eve in a free mass wedding. The communal event, attended by 437 couples, was staged by authorities in the context that many people in Jakarta cannot access public services because they have never legally been married. Muhammad Nasir, 64, and his 65-year-old wife Aminah have five children and nine grandchildren, but as they have never been legally married, some of their children do not have birth certificates and cannot gain access to public services such as healthcare. The participating couples received a gram of gold, Koran books and a set of prayer outfits.